Regarding the upcoming Executive Board Meeting in Chengdu, please inform us if you need an invitation letter to enter China. We will forward your requests and follow up with Chengdu for issuing the official invitation. 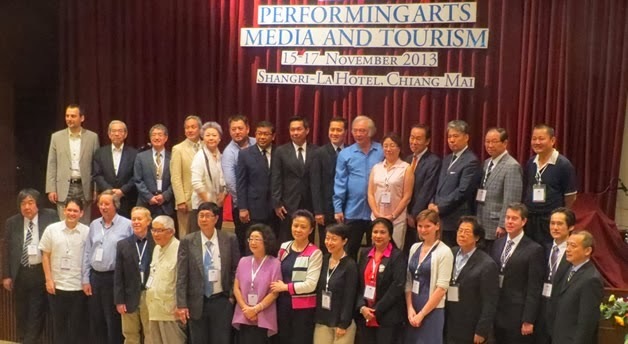 On behalf of all the members of Federation for Asian Cultural Promotion (FACP), I sincerely welcome you to participate in the 31st Annual Conference of FACP in Chiang Mai scheduled from November 15th through 18th 2013. Since its inauguration in 1981, FACP has become an active and prominent cultural organization internationally. The federation invigorated cultural exchanges among Asian countries, enhanced the communication between East and West and promoted up and rising performing arts and visual arts groups in Asia-Pacific regions to the world. These are the related articles about FACP in the past. Permalinks are already deleted or changed, so we left the list of them.